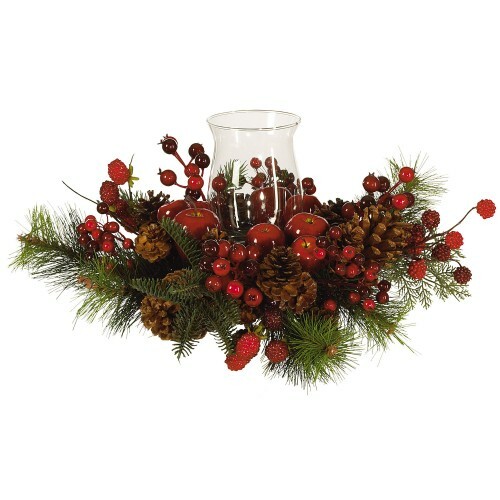 Jeweled berries, gleaming apples, rustic pinecones, and evergreen branches surround a glass hurricane candle base creating an elegant and functional candle holder. Standing 16 inches tall, it is substantial enough to take center stage on any table. Turn down the lights, light a fragrant candle, and enjoy the warmth and beauty of this exquisite piece.